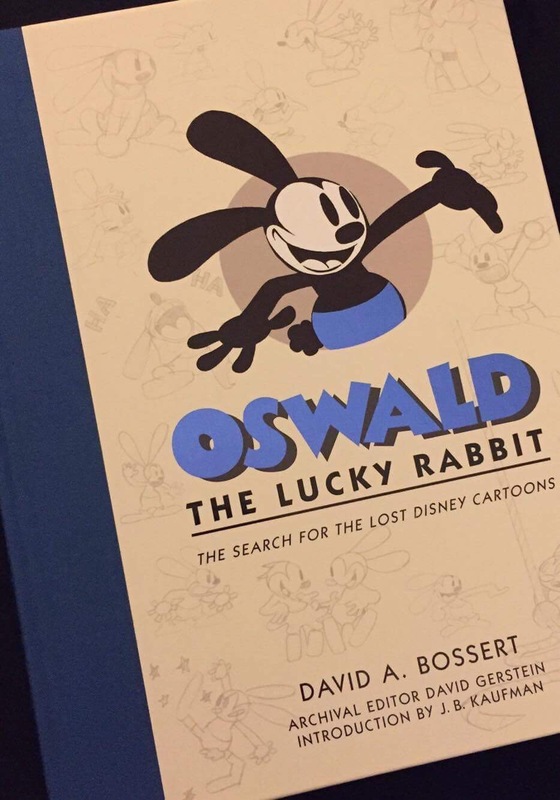 This year marks the 90th anniversary of Walt Disney’s first animated character and Disney Editions recently published Oswald the Lucky Rabbit: The Search for the Lost Disney Cartoons by Dave Bossert for the occasion. 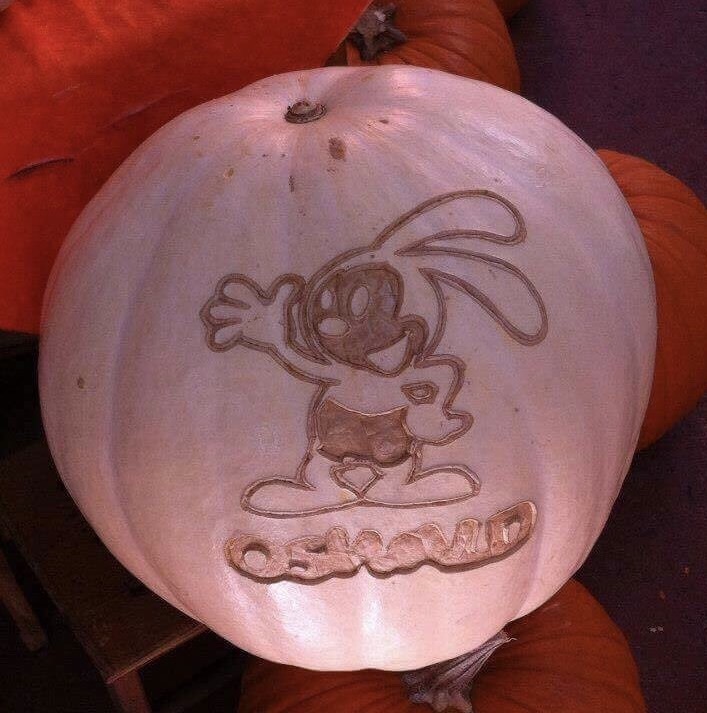 I’m sure I’m not the only Disney fan to have a soft spot for the lucky rabbit. My family tuxedo cat is named after the black and white bunny, so I have an extra special fondness for the little guy. All that to say, when I heard that this book was coming out I knew I had to have it. I wish I could say that I received an advance copy for an unbiased review of the book, but I did not – I’m not that cool. I did, however, buy it from an actual brick and mortar book store (I know, crazy talk). First of all, I want to tell you how pretty this book is. 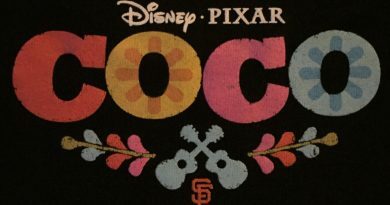 I know, I know, you shouldn’t judge a book by its cover, but Disney Editions nailed it with this one. It’s sleek and shiny and just plain pretty. This book covers the history of the character from his origins, to Walt losing the rights to him in 1928, and the Disney company welcoming him back into the family in 2006. After a brief history lesson comes meat of the book: information about both the lost and found Oswald cartoons. 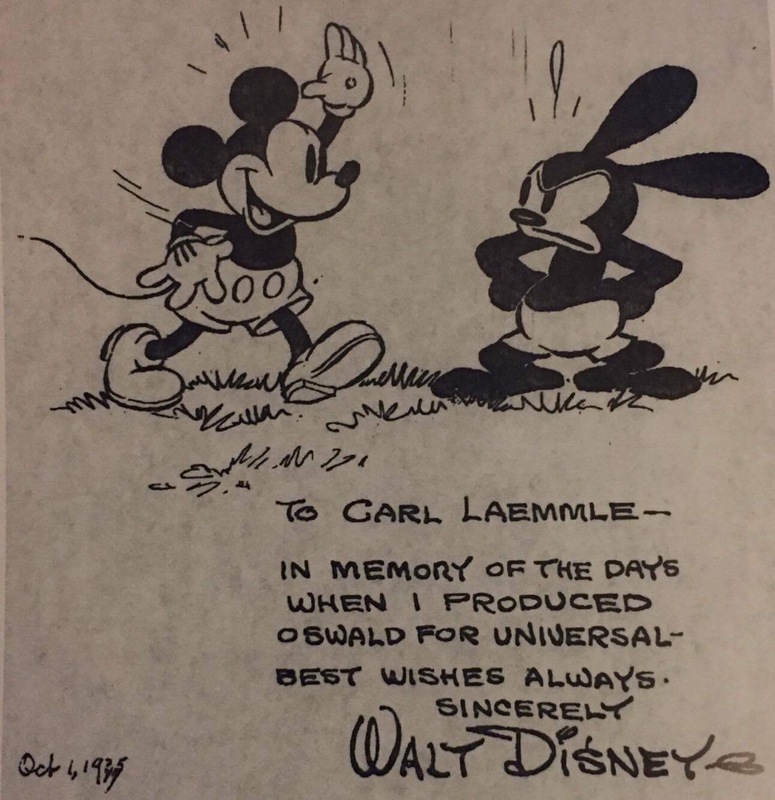 Bossert gives exhaustive information about each of the 26 Disney produced Oswald cartoons between September 1927 and September 1928 (yes, one short year). In the cases of the lost cartoons, the author presents any archival information that is known about each one. While it may not be possible for each of these cartoons to be rediscovered in their entirety, the search is ongoing. Bossert offers this thought: “Who knows? 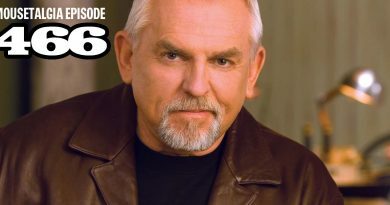 By the time you read this, more films or artifacts tied to them may have surfaced!” – one can only hope. 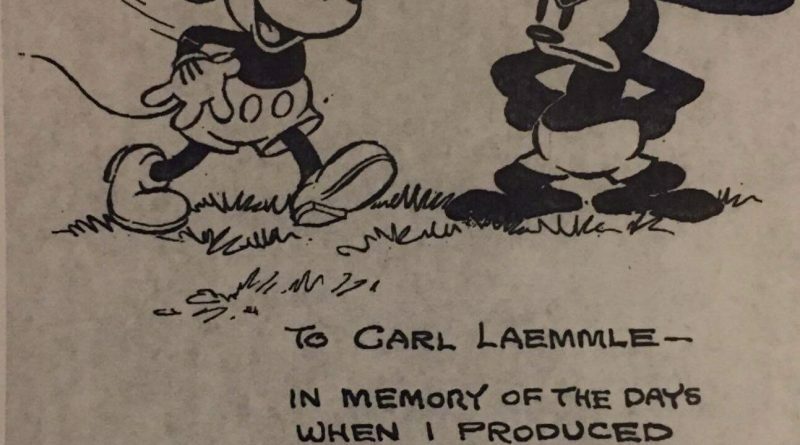 If you’re like me – and I’m guessing this is the case – then go ahead and dust off your golden Disney Treasures tin set and watch some of these found Oswald cartoons. Since the release of this set in 2007, it would appear that nine more cartoons have been found than were presented in the set. 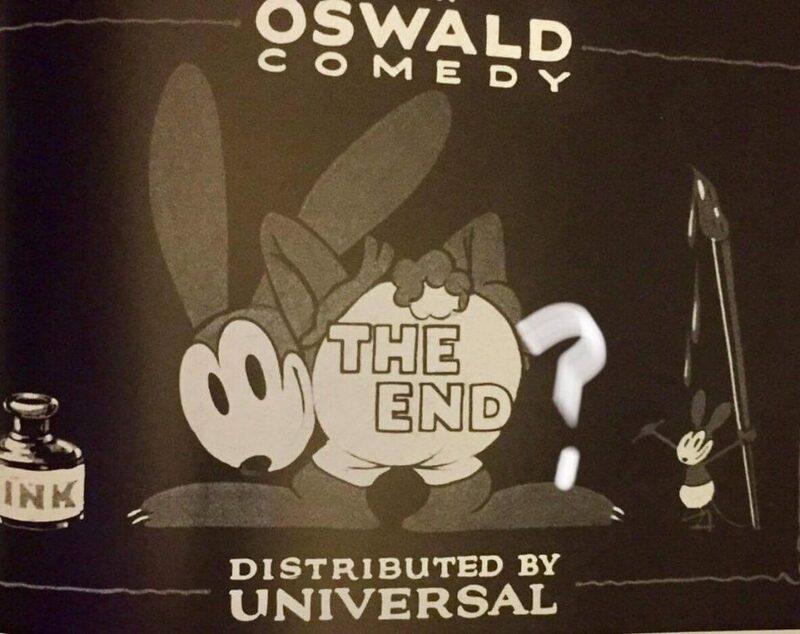 This gives me hope that most, if not all, of the 26 Oswald films will be found and preserved. I give this book two rabbit ears way up. It’s a great addition to your Disney history bookshelf. 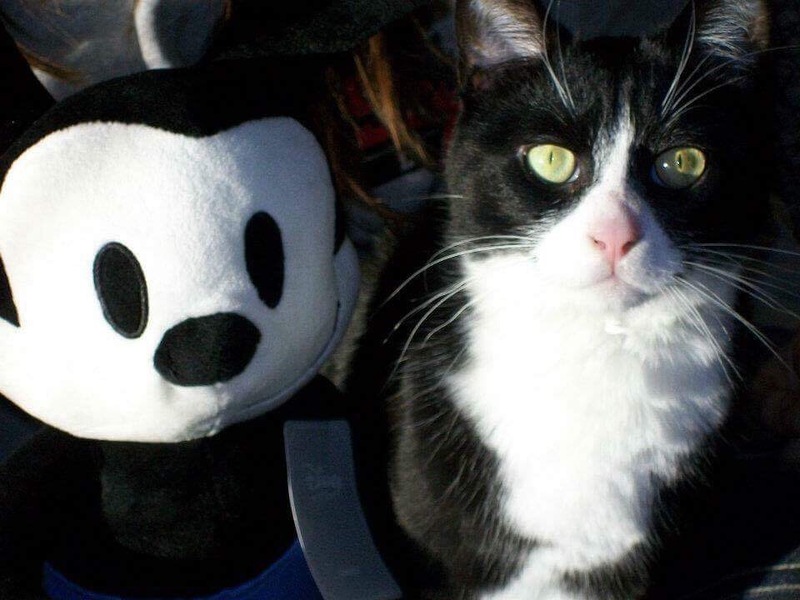 No you’re not seeing double, this is Oswald the lucky rabbit and Oswald the lucky kitty. What Disney characters have you named your pets after? Please share and Carpe Kingdom! ← Halloween Has Arrived in the Parks! Julia is the Mousetalgia Social Media Maven and long-time listener of the show! She is now helping provide amazing blogs and exciting new content!